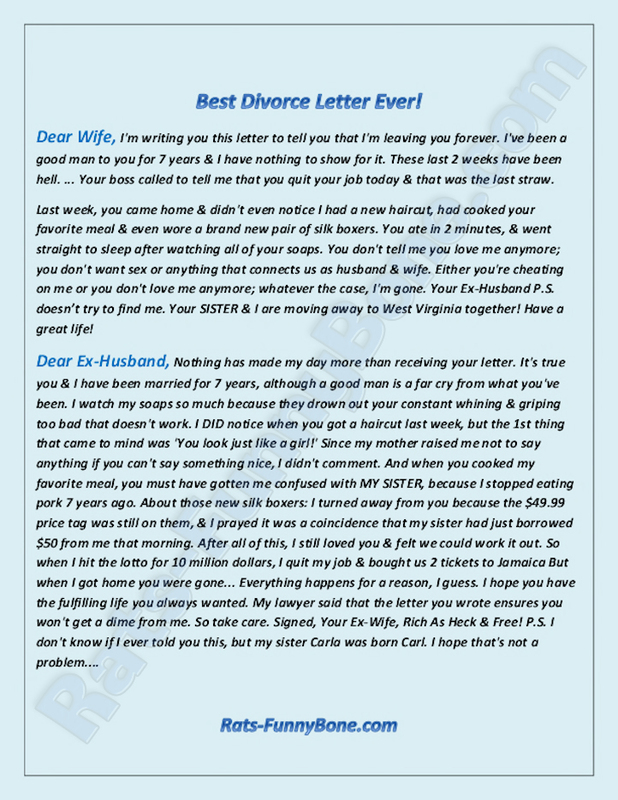 Dear Ex-Husband: The Best Divorce Letter Ever! Dear Ex-Husband: The Best Divorce Letter Ever! Although divorce is not a laughing matter, this joke has been around the internet for GOOD REASON…it’s hilarious!